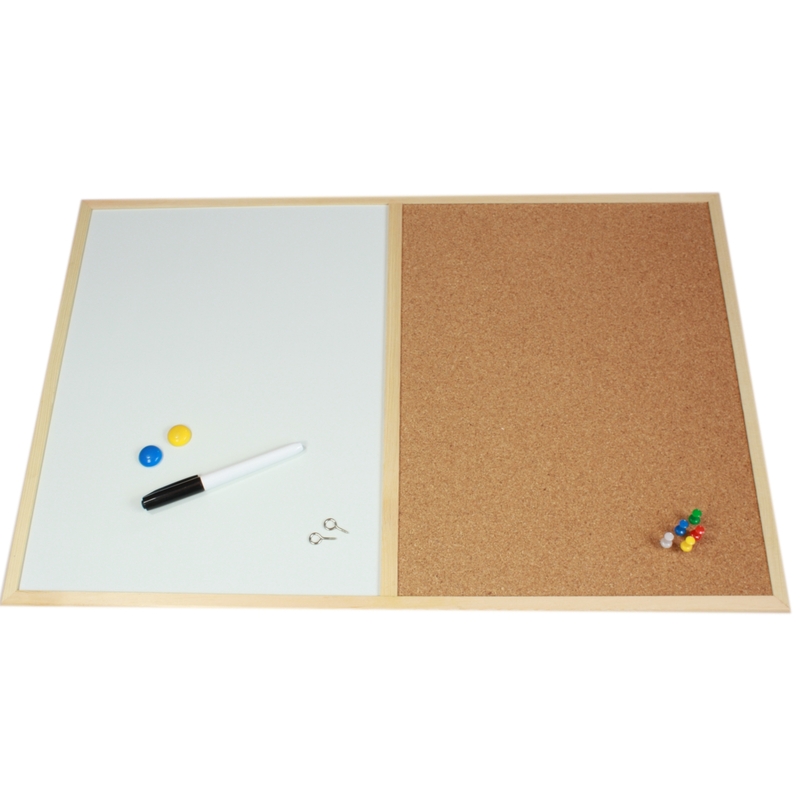 Magnetic white board with an integrated pin board. With wood frame and cardboard backing these are for the price very reasonable quality and the frame is strong. Ideal for use in the home or office. 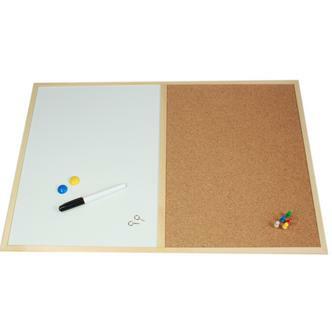 The board comes with a dry wipe pen. *In Plastic, card and wood. *Measures H 40cm x W 60cm.